Quantum states in condensed matter and biological nanosystems are dynamically evolving physical objects and their dynamics largely govern the function of these materials. Unraveling these dynamics - ideally at the level of an individual nanostructure - is of paramount importance for our understanding of nanosystem functionality and one of the grand challenges of current nanoscience research. Microscopy and spectroscopy tools that are able to characterize those quantum objects are based on electromagnetic interactions. They involve either electron beams or optical waves, or a combination of both, as in the rapidly growing field of ultrafast coherent electron microscopy (UCEM). Using De Broglie electron waves as probes of laser-induced nonequilibrium dynamics in matters, an unprecedented spatial and temporal resolution is achievable, beyond what is accessible with optical methodologies. This Research Topic aims to cover the methodological advances and applications of UCEM, as well as the underlying theory of electron-light interactions in nanosystems. 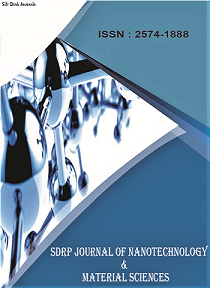 The present issue additionally provides a thorough introduction into the theoretical and experimental foundations of this emerging field, as well as a summary of what has already been achieved in ultrafast coherent electron beam microscopy and what is likely to be gained in the future. Advanced sub-topics on beam shaping and the utilization of those methods in ultrafast coherent electron microscopy are of particular interest for this Research Topic. We welcome authors to submit unpublished recent works and theoretical efforts for encompassing the state-of-the-art in UCEM. Additionally, we encourage the submission of review papers and mini-reviews to this Research Topic, which cover the efforts for unraveling the physical principles of structural dynamics in nanosystems.